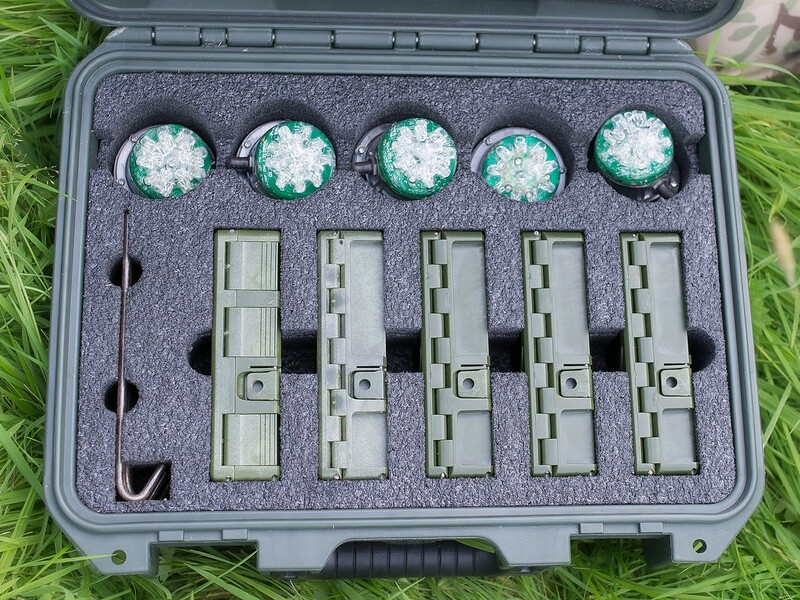 The Custom Marking Kit allows you to select any combination of five Visible, Near Infrared or Shortwave Infrared Light Heads packaged with Battery Boxes, Tie-Down stakes and Straps in a Hardigg Storm (Pelican) iM2100 Case. 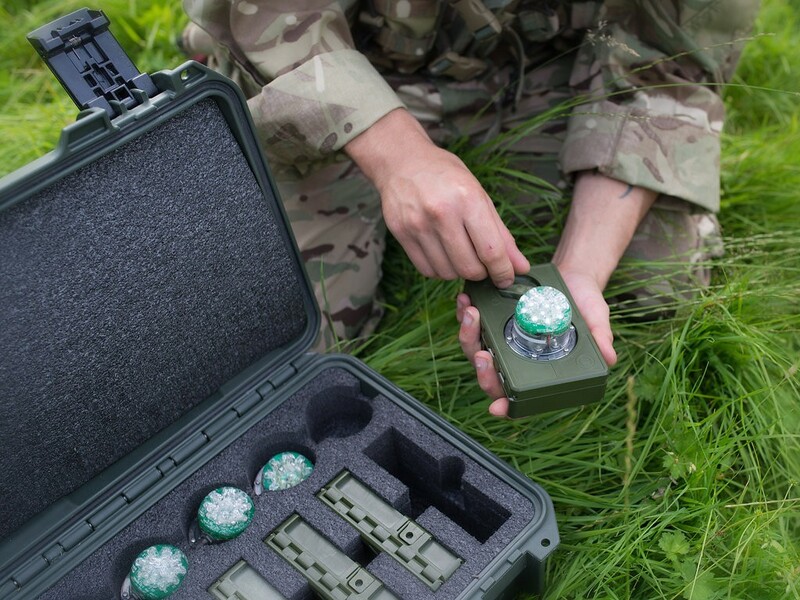 CIRLS is an extremely rugged beacon system that has been engineered to meet the needs of Drop Zone (DZ) and Emergency Airfield (EAF) marking requirements by providing a dependable lightweight zone marking solution. 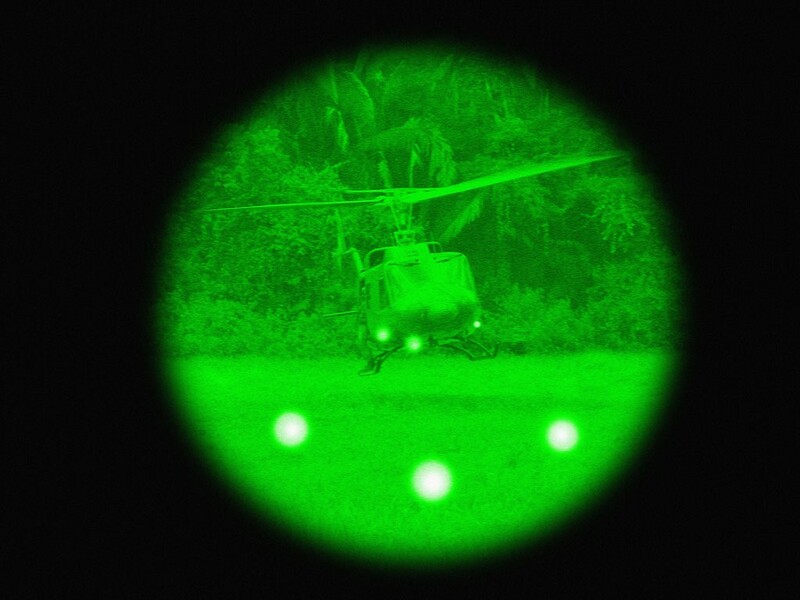 The CIRLS system is currently utilized by United States Army and Air Force as well as NATO for high altitude DZ marking. 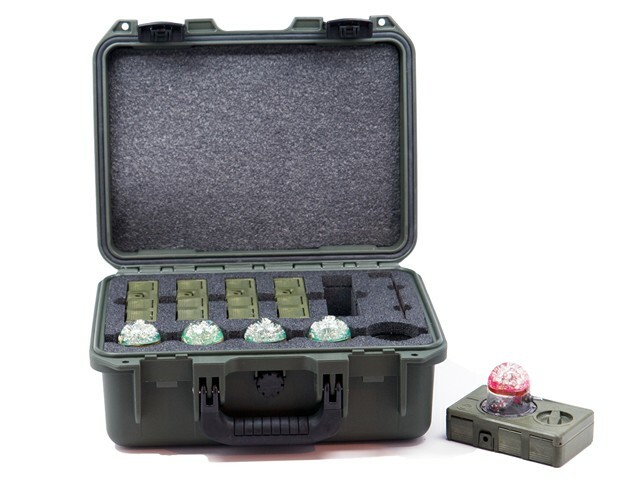 Each CIRLS Light Head incorporates an 18-LED array in a domed head filled with a proprietary resin that enhances the LED's light dispersion while sealing the electronic components from the environment. 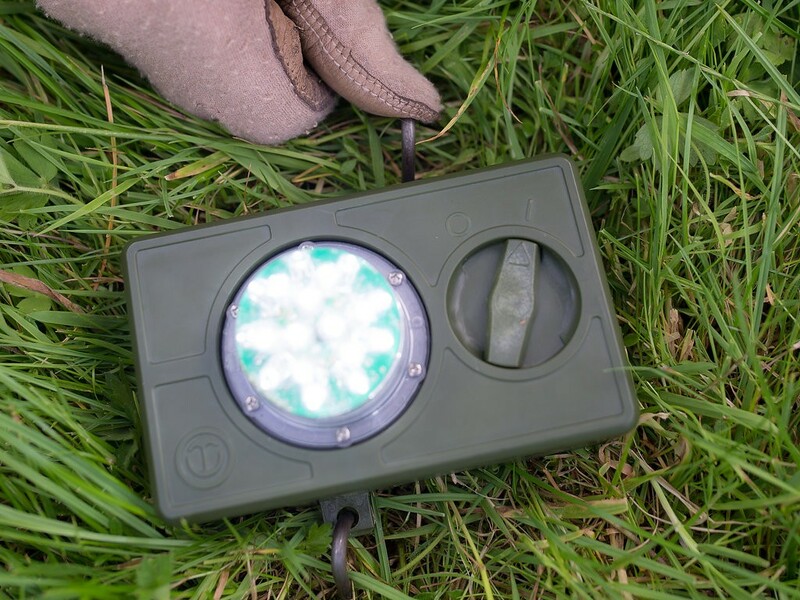 The CIRLS Light Head can easily be switched ON or OFF via a single switch on the side of the CIRLS Light Head. 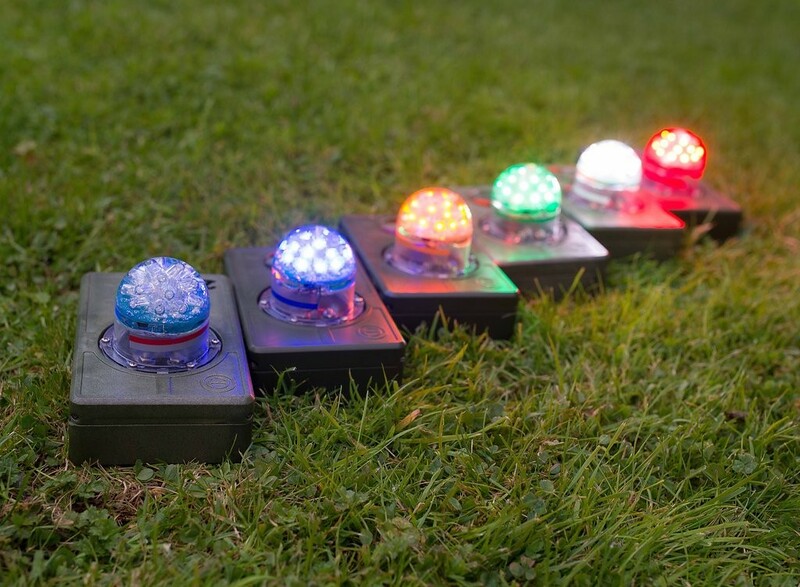 CIRLS Light Heads are offered in either Constant ON or Flashing modes and in a variety of light colors, including Infrared and Shortwave Infrared. 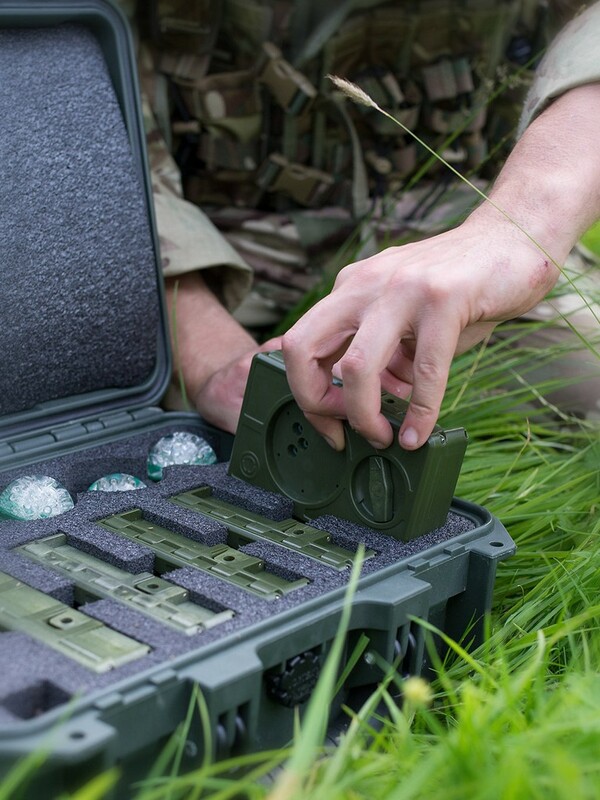 The CIRLS light head attaches to the MIL-STD BA-5598/U lithium pack battery or our CIRLS™ 123A / AA Battery Box (NSN: 6130-01-623-4297). 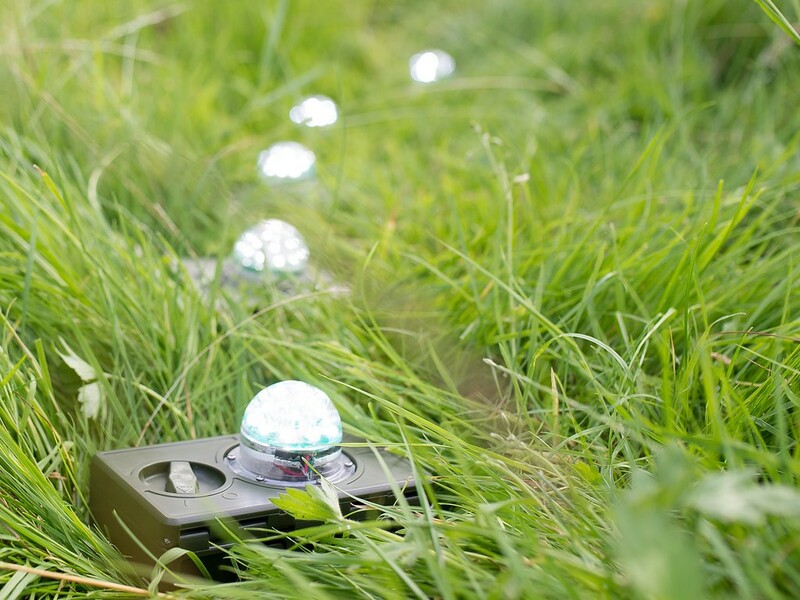 The CIRLS modular system may be tailored to meet the mission needs as hazard markers for airfield, road and waterway obstructions, or Drop Zone and Landing Zone markers.